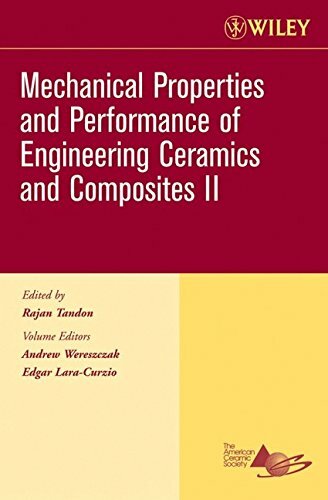 Mechanical Properties And Performance Of Engineering Ceramics And Composites Ii: 9780470080528 Paperback - LIMEROCK BOOKS INC. This volume contains over 70 papers on advanced research and development of processing, mechanical properties and mechanics of ceramics and composites from the proceedings of the 30th International Conference on Advanced Ceramics and Composites, January 22-27, 2006, in Cocoa Beach, Florida. The conference was organized and sponsored by The American Ceramic Society and The American Ceramic Society's Engineering Ceramics Division in conjunction with the Nuclear and Environmental Technology Division. It covers underlying fundamental links between microstructure and properties, and the ability to achieve desired multifunctional properties through innovative processing techniques.